After Woody Allen decided to leave New York City during the early Millennium he began crafting some of his best work in ages. His films set in London like You Will Meet a Tall Dark Stranger and Cassandra's Dream, among others. In France he took his viewers around Midnight in Paris, he brought us to Spain with Vicky, Christina, Barcelona and in 2012 he went to Italy for To Rome with Love. The film, which received mixed reviews was the first time the auteur went to Italy and took his love of Fellini realism and escapism and combined it with the humor of Roberto Benigni, who also starred in the film. 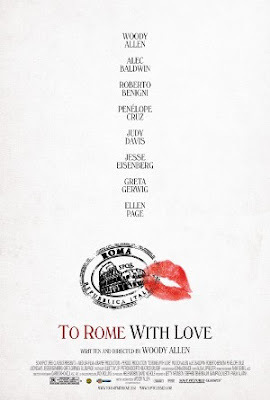 Leading an all-star cast of Alec Baldwin, Penelope Cruz, Judy Davis, Jesse Eisenburg, Ellen Page and Greta Gerwig, To Rome with Love was a delightful romantic comedy that only someone like Woody Allen could conjure up.